After divorce, child support is often one of the biggest continuing expenses many fathers face. These court-ordered payments provide for the needs of your kids. In many cases, one parent pays a certain percentage, while the other covers the rest. 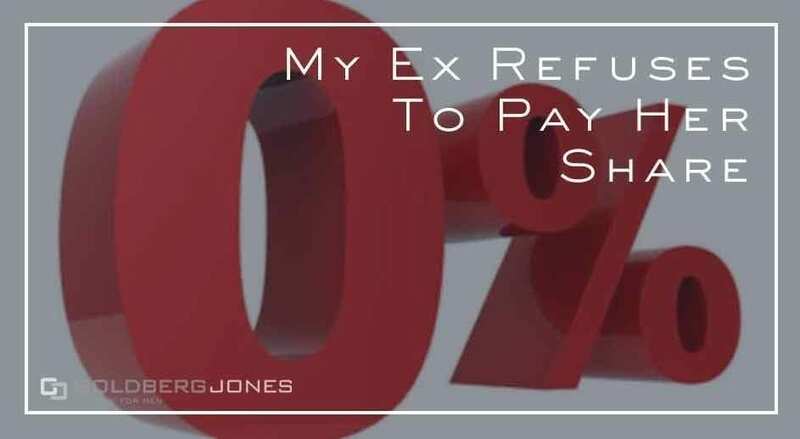 But what if your ex won’t pay her share? Rick Jones, one of our founding partners, makes regular appearances on the Danny Bonaduce and Sarah Morning Show, where he answers listeners’ family law questions. One recent caller finds himself in this situation. Listen to what his options are and why it’s important to act sooner rather than later. Rick: “So, on your child support order it recognizes that she’s responsible for a percentage of things like extracurricular activities? If that’s the case, what he’s going to want to do, he certainly has the ability to do one of two things. “Either, one: Go back to court and basically seek a judgment for these dollar amounts. [In that case] he needs to be prepared with receipts. I worry it’s gone on for so long though. He’s kind of acquiesced to this, so the timing to do that would have been early on. To basically say: ‘These are the rules of the game and I’m going to make sure you adhere to them.’ But that’s one possibility. If you have questions about your case or need to talk to a divorce lawyer, contact Goldberg Jones. Our Portland office is ready to help you.